If there is a short list of filmmakers we've followed here at Screen Anarchy since the very beginning, Indonesia's Joko Anwar would easily be near the top. From his beginnings in comedy, through his adventures in noir, fantasy, and horror, Anwar has continually proved himself to be one of the most talented filmmakers in Asia, and his work helped put his country on the genre map next to filmmakers like The Mo Brothers (Kimo Stamboel and Timo Tjahjanto), and with his latest film, Gundala, he takes a stab at another new genre, superhero adaptation. Gundala is based on a popular '70s and '80s comic book created by the late Harya "HASMI" Suryaminata. Also known as Son of Thunder, Gundala is an avenging superhero with the power to shoot electricity from his body. According to the new footage in the trailer, Gundala will be an origin story follows the character from childhood through civil unrest and personal tragedy. It looks to be one of Anwar's most ambitious technical projects yet, and I'm excited. Joko Anwar's previous films have been incredibly successful in creating massive atmosphere with relatively little in terms of fancy pants visual FX. I'm a huge fan of his neo-noir Kala (Dead Time) and last year's Satan's Slaves is one of the scariest films of the decade, not to mention his HBO Asia series Halfworlds and the popular series Folk Lore, which he directed one episode of, so to see what he's able to do with a bigger sandbox to play in is very exciting. Anwar is also at work on a pure horror film called Perempuan Tanah Jahanam (Impetigore) that looks like it's going to be a doozy. 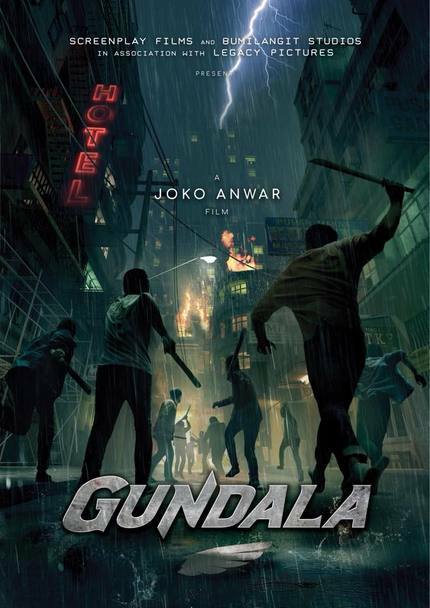 Check out the exciting new trailer below and gird your loins for the superhero action of Gundala!